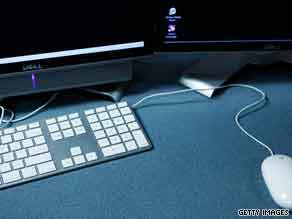 (CNN) -- Finland has become the first country in the world to declare broadband Internet access a legal right. The move by Finland is aimed at bringing Web access to rural areas, where access has been limited. Starting in July, telecommunication companies in the northern European nation will be required to provide all 5.2 million citizens with Internet connection that runs at speeds of at least 1 megabit per second. The one-megabit mandate, however, is simply an intermediary step, said Laura Vilkkonen, the legislative counselor for the Ministry of Transport and Communications. The country is aiming for speeds that are 100 times faster -- 100 megabit per second -- for all by 2015. "We think it's something you cannot live without in modern society. Like banking services or water or electricity, you need Internet connection," Vilkkonen said. Finland is one of the most wired in the world; about 95 percent of the population have some sort of Internet access, she said. But the law is designed to bring the Web to rural areas, where geographic challenges have limited access until now. "Universal service is every citizen's subjective right," Vilkkonen said. Should fast Internet access be everyone's legal right? It is a view shared by the United Nations, which is making a big push to deem Internet access a human right. In June, France's highest court declared such access a human right. But Finland goes a step further by legally mandating speed. On the other hand, the United States is the only industrialized nation without a national policy to promote high-speed broadband, according to a study released in August by the Communications Workers of America, the country's largest media union. Forty-six percent of rural households do not subscribe to broadband, and usage varies based on income, the study found. In February, the U.S. Federal Communications Commission is expected to submit a national plan to Congress. The FCC says that expanding service will require subsidies and investment of as much as $350 billion -- much higher than the $7.2 billion President Barack Obama's economic stimulus package has set aside for the task.